See Zazzle Reviews and find out What is Zazzle. You may or may not have heard of Zazzle. They are, in my opinion the best on demand company for several reasons. My Top Two Reasons for deciding to become a Designer/Seller for Zazzle Products is their commitment to Quality Products with Amazingly Detailed and Vibrant Printing and Great Customer Service and Satisfaction. Most of my products have arrived quickly. Some of the personalization gifts take 2 to 3 weeks because of where it comes from but most of the gifts that I bought were shipped out within 24 hours and arrived in only a few days. I am still amazed at the printing. Every tiny detail that I put into my designs comes out clearly and beautifully. The products are better than the average print on demand companies. So often you see really cheap crummy shirts and other stuff. Not at Zazzle, yet they are still affordable. Of course, it will be more expensive than many Personalization Gifts but it is well worth it. In fact, I didn’t like personalized gifts because I had the train of thought that they are all cheap, will shrink up and fade away. Many of the products are Made in America too. What is Zazzle and Zazzle Reviews from real customers who purchased personalizable gifts from Zazzle? Hi, I am Little Linda Pinda and I am a designer and an associate with Zazzle. My family and I never heard of Zazzle until one day I discovered this fantastic company. The follow Zazzle Reviews are from people who actually bought personalized and customizable products from Zazzle. Zazzle will only allow those who made a purchase of a certain product do a Zazzle Review. Where to Buy Made in America Products? Many of Zazzle Name Brand Products are Made in America. Read real reviews from real people who bought custom gifts for themselves and for family and friends. What is Zazzle? Zazzle is an Awesome Print on Demand online store with Billions of products with original and creative designs on Quality products with AMAZINGLY Crystal Clear Printing. What Kind of Gifts and Products Does Zazzle Sell? See a Huge Collection or Original Designed Gifts – CLICK HERE You will find lots of the typical Personalized Gifts such as Customizable Shirts, Mugs, Business Cards, Greeting Cards and the more Unique Customizable Gifts such as Custom Cutting Boards, Personalized Watches for Men, Women and Kids, Lamps and so much more. As a designer and a customer, I am thrilled that they regularly add NEW and Exciting products to their line of Personalization Gifts. 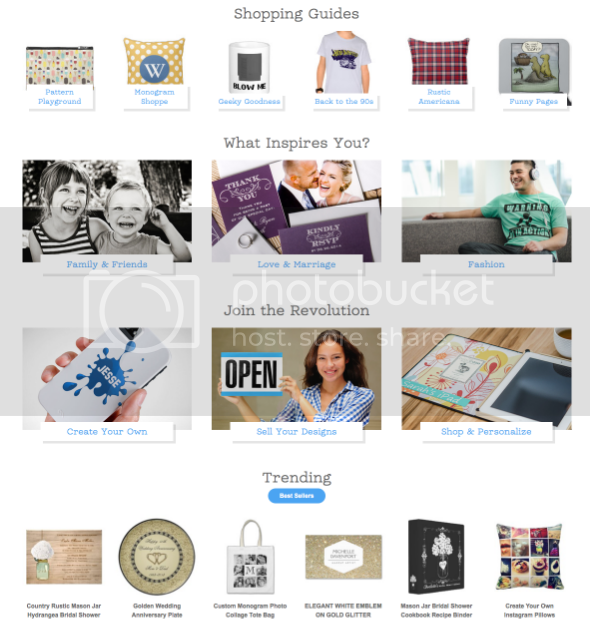 How Did I Learn about Zazzle Custom and Personalizable Gifts? I heard about Zazzle but didn’t know much about them until saw Zazzle on the National News and heard their Mission Statement. Zazzle’s commitment to great customer service, fast delivery and Amazing Crystal Clear Printing is second to none. Many of their products are Quality Made in America Gifts and Products. I read reviews on products and from Zazzle Associates selling products and was ready to become a Designer Associate for Zazzle. Designing Gifts for Creative People is a passion of mine. My mind never seems to stop thinking of the next fun and personalizable gifts that I can create. At first I wouldn’t buy myself any gifts from Zazzle because I felt I needed to earn a little money before splurging on myself yet I needed to know first hand if the products are as good as people say in Zazzle reviews. I would however purchase personalization gifts for family members and family members would in turn buy gifts for themselves or to give to others. I am a very particular person when it comes to products that I wish to represent to sell. People say that I am a great salesperson but truth be known, I will only sell products that I believe in. I can’t and I won’t sell poorly made gifts. I have always been a service orientated business lady too and Zazzle’s Customer Service is wonderful for both the Associates and the Customers. Zazzle Reviews from My Family My daughter, her husband, son and in-laws just loved the Zazzle Personalized Calendars. It was so much fun watching them page through the memories of places they visited and special moments as a family. She was so impressed with the vibrant and detailed printing on such nice semi-gloss paper. My daughter sent me photos and I put placed them on the customizable calendar for her. She could have done that herself as my Zazzle customers do.